Wondering if you could make those workplace coffee breaks productive yet fun? Well, we have got something for you. Starting today, we are launching a short video series - eLearning Coffee Breaks featuring Raptivity product expert, Jamaica Glenn. Each video in this series will feature a quick tip to make your eLearning life easier and smarter. So what are you waiting for? Tune in to our first Episode below and let us know if you knew of this Raptivity tip already and if not, how are you going to use it now onwards. Did you know Raptivity could be used very effectively in live training sessions, or that Raptivity interactions could be easily mapped to popular instructional design theories? Or rather, did you have an idea that Raptivity can let you create interactions in multiple languages in just a few clicks? If you’ve been an ardent Raptivity user, you must have already explored some of the above mentioned tricks and features that can help optimize the interactivity creation process, and even discovered some really novel ways to use the tool. But if you haven’t, then here is your chance to discover those little things that can go a long way. Join us for this and much more. Be inspired to do more with Raptivity. With all training, it is important to identify the desired outcome. With compliance training, the buy-in from senior management, from the trainers, and the employees is key. For some, it may be a "check the box" that it is done. This attitude can come from managers and push downward. But, what if it is true? Perhaps the compliance training is to meet an outmoded regulation. A third-party contract requires Acme's employees to train how to troubleshoot the XLT-4000. The paradox is that the machine was removed from the building 18 months ago and replaced with the 3PX-izler. To meet the contract, the training continues. Let the eye rolling begin. If you have experienced that frustration in your training development, consider combining that training with a much-needed module. Acme's employees may not need the required training on the XLT-4000 machine, but they do need fire-safety training on exiting a building via the stairwell, not the elevator. Things just got interesting! What if the XLT-4000 was on the third-floor and in the troubleshooting process of checking the cord, flames shot out of the electrical outlet. The curtains caught on fire and the windows shattered causing the flames to explode. Now get out of the building safely. Bet your check-the-box folks didn't expect that! They may never forget that training. And, you met compliance and saved lives. Pretty good life, right? You and Batman are like this (fingers crossed tightly). Gamification doesn't need to be in-person to award prizes or online to provide leaderboards. It doesn't need an elaborate quest--um, storyline. Although it would be nice to develop (along with the magnificent budget), gamification can be quite simple. It's a story. It's a what-happens-next discussion. It is time immemorial. Have you ever thought why fairy tales have a rather grim side? The stories had to be palatable to many ages and interests. There wasn't a storyteller in every room. Moreover, in some stories, there had to be a very tough warning to children to behave. Enter, the big bad wolf, the snake, the witch. Our campfires may be the backlight of our smartphones, but we are all listening and participating in stories. Team Raptivity recently conducted a much applauded webinar on making eLearning ‘Easy, Customizable and Fun’. The webinar was aimed at all instructional designers, course creators and trainers who are stuck with complex eLearning methodologies. While it is easy to generalize that eLearning can be tricky for learners because of various factors involved, but the fact is that eLearning can be really hard for the creator too. It is not always easy to create something that could create an impact as good as a classroom session. Limited skill set, resource Crunch, time and money involved, etc. are just some of the reasons that hinder a course creator’s efforts. 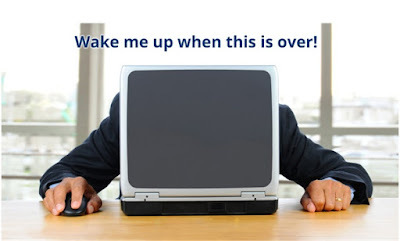 So, is there a way that could make eLearning easy, customizable and fun? Well, yes, make way for rapid interactivity, a term synonymous to Raptivity. The rapid interactivity approach involves using ready to use interactivity templates that fit your instructional goal. Raptivity, world’s favourite interactivity building tool, boasts of its rapid interactivity skills through its 190+; ready-to-use; highly interactive; eLearning templates. The session then moved on to explain how Raptivity makes eLearning Easy (All you need to do is insert your content into a template without any programming), Customizable (Since it’s all about your content and your media, the interactions can fit your curriculum or corporate standards very easily), and Fun (Since you get to choose from a variety of templates to create interesting eLearning very quickly). This was followed by a detailed demonstration of many Raptivity interaction samples and then a detailed product demo. If you found this session roundup interesting, you may go through the entire webinar recording here: https://youtu.be/2Y-em6sY7jM. We would be happy to hear your feedback. Flipped Classroom, as defined by Wikipedia, is an instructional strategy and a type of blended learning that reverses the traditional learning environment by delivering instructional content, often online, outside of the classroom. It moves activities, including those that may have traditionally been considered homework, into the classroom. In a flipped classroom, students watch online lectures, collaborate in online discussions, or carry out research at home and engage in concepts in the classroom with the guidance of a mentor. Lectures are created by the instructor(s) and posted online. The lectures typically contain course material in the form of text presentations, podcasts or videos. This model thrives on the concepts of active learning and high engagement. The real value of this model comes from the fact that students can utilize the in-class time for participating in stimulating discussions and exercises, thus making it practically beneficial and more engaging. But this can only happen if students get their basic concepts in-place through the lecture that they have taken at home. So the key ingredient in making a flipped classroom work is to make the lectures more engaging and appealing and the in-class sessions more interactive and interesting. All of this is significant particularly because the students are required to view and understand the lecture material at home without any supervision and based on the level of interest and understanding acquired through the lecture, they participate in the in-classroom exercises. Thus, for the flipped model to work, adding interactivity to this both sides of this approach becomes a necessity. While the learner is viewing a video, the lecturer could easily add a reinforcement exercise or a quick game to confirm whether the learner has understood the concept. This would make in-class sessions even more effective as the learner would have already understood the concept. Also, if these learning interactions are hosted on an LMS, the lecturer could track the scores of each of its student to assess the student’s knowledge, thus making in-class sessions more effective. Considering that lecturers or professors are non-technical people, they need a tool which is rapid, Do-it-Yourself (DIY) and has variety of interactions to add newness to their courses every time they plan to do a flipped classroom. Raptivity fulfils all these requirements. The lecture material could have simple interactions like games, quizzes and learning aids as quick reinforcement exercises. At the same time, one can use interactions like explorative learning techniques to help students engage with the learning content and discover information at their own pace. Such interactions add an element of fun to the whole concept of flipped classrooms, thus making it easier for the instructors to engage students. 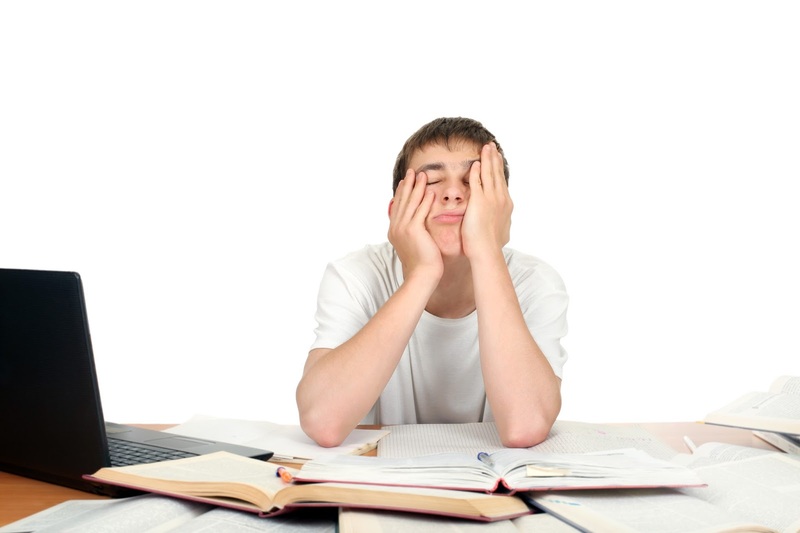 An effective flipped classroom requires careful preparation on part of the instructor. It’s important to use the right elements to make it work. Interactivity will surely get us one step closer towards the bigger goal. Have you ever experienced Flipped Classrooms? Do you know of other effective ways that make them work. Share below! Tip of the Week: Want to add a timer to your assessments, quizzes or games? Tip of the Week: Include narrations for interactions using your own voice! Learning and development managers would vouch for the fact that attitudinal trainings are amongst their key training areas. Attitudes can either facilitate or hinder constructive thinking and actions. Workplace attitudinal training (such as promoting safe and ethical behavior, resolving conflicts, imparting organization’s culture, or getting a buy-in for the management's change agenda) helps employees develop a right attitude. This, in turn, helps them to improve their performance and progress in their career paths. Attitudinal trainings also help organizations to create a positive work environment. Delivering effective attitudinal trainings is quite a challenge! And if you ask why, well, the subtle intent of such training is encouraging employees to behave in ways that are considered desirable for the organization, and discouraging undesirable behaviors. It is tricky to formulate the right training strategy that will have a direct impact on employees’ attitudes and behaviors. Convincing or influencing one’s decision or behavior under certain circumstances is not easy, especially when you have employees from diverse cultures or nationalities. Also, employees may not perceive attitudinal trainings as directly related to their job roles, performance improvement, or upskilling. Hence, attracting and engaging employees in such trainings is a task. Employees may not be interested to complete the course and forget the learning once the training is over. Why storytelling can be one of the most powerful instructional techniques for attitudinal trainings? Stories are inspiring. Changing or influencing learners’ attitude is possible only when they are motivated. And evoking emotions can motivate them to change. Storytelling is the best way to tie emotions with the message and set that ‘emotional connect’ with the learners. They will instantly get hooked to a story that uses characters and plots reflecting them, or their real life challenges and situations. They empathize with it, and start relating to the content. This motivates them to think, feel and act differently. When learners are motivated by themselves, they no longer need to be persuaded to change. Stories are attention grabbing and make information easier to remember. No matter how busy people are, they pause to listen to a story or tell one of their own. Stories have dramatic arcs that can retain learners’ attention long enough. This can work better than making learners read or listen to any information. Everyone is familiar with the structure of a story and can intuitively process information from a story. Stories let learners grasp the knowledge in meaningful ways. They present information in a coherent form, transforming the abstract/complex ideas into concrete, relatable examples. This keeps learners from forgetting the learning after the course. These interactions can be infused in an eLearning course as well as in PowerPoint Presentation to be used in classroom trainings. All one has to do is to select a template, fill it up with your content and publish. Interested to try out Raptivity for your training needs? Take a 14 day free trial and experience the power of interactive storytelling. Tip of the Week: Want to include a survey in your course? Team Raptivity is celebrating 10 years of Raptivity’s presence in the eLearning world. On this occasion, we are excited to share an infographic that sums up Raptivity’s achievements in the past 10 years. 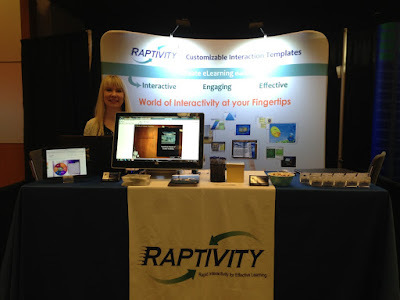 In April 2006, Harbinger Knowledge Products launched Raptivity, the first of its kind rapid interactivity builder, with an aim to help Instructional Designers and course creators in building effective eLearning content without any programming. Today, it is being used in over 65 countries and in various industries, to deliver high quality interactive eLearning and thereby engage learners. Raptivity has always been at the forefront of technology innovations and has bagged numerous prestigious awards along. Our customers’ invaluable support, along all these years, has been pivotal in Raptivity leading the way for interactive eLearning. Check out this infographic to know some interesting facts about Raptivity and get a few glimpses of its journey so far! Click on this image for its enlarged view. 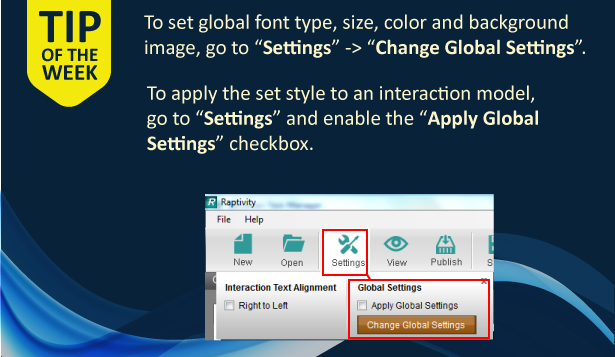 Tip of the Week: Want to check for any spelling mistakes in your interactions? The series of podcast continues as we interview Todd Kasenberg this time who has been using Raptivity over five years and is also an interactive learning thought leader. Todd is the Principal at Guiding Star Communications and Consulting, providing insights to organizations about their performance challenges, employee engagement and enhancing customer experience. In this podcast, Todd shares his Raptivity experience and its vital role in delivering Microlearning. Raptivity packages those essential elements, which keeps the user engaged through its interactions. 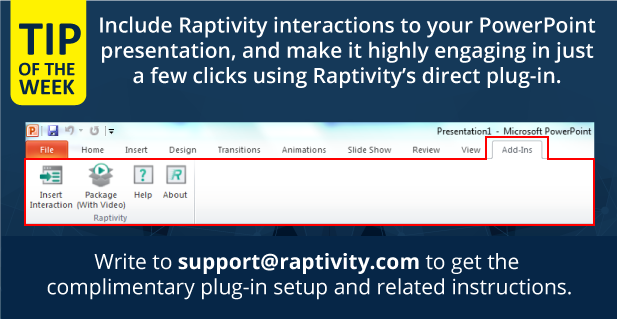 He also shares that Raptivity is an extremely easy to use tool for a non-coder who does not have a technical background in developing courses. We are happy to know Todd leverages Raptivity features in Microlearning at Guiding Star Communications and Consulting. Hear the podcast to find out more about his experience with Raptivity. Listen now. We would love to share your experience with Raptivity, and please feel free to write to us at info@raptivity.com. Raptivity is all excited to showcase its third podcast from Kasy Young, President, Be Your Best Foundation. To begin with, Kasy has been with Raptivity from 2009 and throughout the podcast, she shares how Raptivity Games has helped her deliver exceptional learning outcomes. Kasy also sheds light on how Raptivity is the secret sauce that elevates the Young Social Graces Society programs by addressing behavior and bully problems in schools. She also shares how Raptivity Support team is exceptional in addressing her queries. With great pleasure, we are happy to know that Kasy is leveraging Raptivity for her eLearning needs at the Be Your Best Foundation. Hear the podcast to know about her experience with Raptivity. Listen now. Do you have your story to share with us? Write to us at info@raptivity.com and we would be in touch soon. Janhavi Padture, Vice President of Strategy & Business Development, and Jamaica Glenn, Raptivity Valued Professional, from Raptivity team, will be leading this insightful webinar. Join us for this complementary webinar on Thursday, June 09, 2016 at 10:00 am PDT. Register now and do more with Raptivity for your eLearning needs. 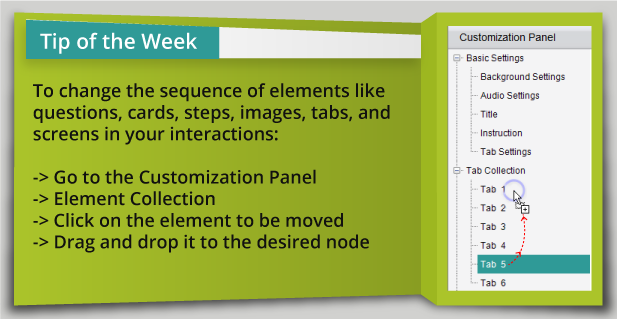 Tip of the Week: Want to store customized interactions to reuse them as templates? Our earlier podcast with Chandra Clarke was appreciated by many of our listeners. As we continue to celebrate our 10 years of customer success, we bring our next podcast in series for all of you. This time, we have Mr. Mahesh Mutalik, Co-Founder and CEO, Vatsa Solutions, sharing his experience and success with Raptivity in a very short time frame. To get started Mahesh, can you tell us a bit about your organization and about your role? [Mahesh] Vatsa Solutions is into custom software development. Vatsa has been in the industry for more than seven years now and we enable customers to define and design their ideas into the products. In addition, we help our customers to solve their product related problems with the biggest technologies available in the market like Microsoft, Java and Enterprise Mobility. Furthermore, we work with them as a technology partner where we help them to define the technology roadmap and we ensure to stay with them till the end of the roadmap. How did you come across Raptivity? [Mahesh] While working with various customers, we developed our own products which are into education domain, one is school ERP and other is franchise management system. While deploying these products at the biggest locations, we received enquiries about content development for students and to the overall school as well as the after school activity organizations. However, as we catered to software development, we always said no to such customers. Last year, while I was in the UK and after that in Dubai, I came across couple of big opportunities where University of London and the University of Dubai asked us to provide overall umbrella of content development services. In addition, along with content, they also asked us to develop their LMS as well. This new requirement created an interest in overall in content development area and that is how it triggered. Once back from my business trip, we decided to explore, and at the same time, we came across our friend from Harbinger who suggested to use Raptivity for such kind of quick development and to provide content services to the customer. This is how we came across Raptivity and we are happy to use it for all our content development. That was interesting to hear. I would like to know how Raptivity helps you in achieving your business objectives. [Mahesh] One thing, which is very straightforward as I mentioned as we started our own separate content division that is called as strategic business unit which has a dedicated team having their own sales people and their target is to take care of the content required by the customer. However, we are here by the skill of customer software development and we are in competition with so many companies having similar set of services in the market. To make our proposals unique, we started using Raptivity and we started using our thought process in creating interactive proposals. Our customers are delighted when they receive the proposal that is nicely designed including their scope. It passes on the kind of thought process we have about their problems and shows how we are going to solve it. Is there any interesting feedback you want to share with Raptivity? [Mahesh] Yes, as I mentioned, all our proposals are unique now and other companies are simply sending their word documents requesting with an interactive solution. A direct feedback that we got from one of our UK customers was that we delivered a Pilot to them within 24 hours because of Raptivity. They provided a sample to see our capabilities and to know how quickly we can deliver. The client really got amazed with the quality and the kind of response we provided to them and ultimately we gained that project which was a big contract. It is good to know that Raptivity is helping you to achieve such feedback from Client. I would like to know Mahesh, what is the ROI from Raptivity that started a year ago. [Mahesh] The ROI on Raptivity is quite efficient. Our trainees and teams were trained in very sessions, a big asset for any company. Zero Support is required since the tool is very simple and easy to use and the overall internal turnaround is very fast. 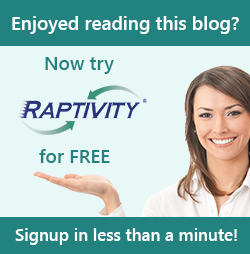 Great, are there any key features about Raptivity that you appreciate the most? [Mahesh] Yes, the availability of various templates and that to be of various types is a big feature we use. Moreover, the overall simplicity of the tool and templates with easy to use functionality is an innovation-driving factor at Vatsa Solution. Furthermore, the most interesting part is the Gamification feature, which is liked by most of the customers. Thank you so much for sharing your insights with us today, have a nice day. If you would like to hear the podcast here is the link. An eLearning course looks incomplete without interactions. No one likes to take a boring page turner course. Interactions help in making the course engaging and collaborative. They foster active learning through a meaningful interchange between the course and learners. We are excited to bring out the first ever eLearning Interaction Building Tools Comparison. We have compared Raptivity, eLearning Brothers, Articulate Engage '13, Articulate Storyline 2 and Adobe Captivate 9 on various parameters that are vital to create, integrate and deploy eLearning interactions. It is important to note that Adobe Captivate 9 and Articulate Storyline 2 are evaluated purely for the interaction templates supported by these tools and not for their course authoring capabilities. We compiled this comparison after getting inputs from several Instructional Designers and eLearning course developers. The major parameters of evaluation are as follows: variety of interactions, question types supported, multimedia support, font and languages support, publishing and integration support, user experience and tech support. We are confident that this comparison sheet will be a boon for eLearning course creators and Instructional Designers in choosing the right interaction building tool. Here is the detailed comparison for you. Click on the image for its enlarged view. - Raptivity offers widest variety of interactions and question templates and a good amount of flexibility to customize templates. - eLearning Brothers is a simple online tool but with limited multimedia utility. - If you are looking to create a limited variety of media-rich interactions, Articulate Engage is the tool to opt for. - Articulate Storylines gives you the highest flexibility and multimedia support. But with flexibility comes complexity too. - Adobe Captivate interactions offer fair multimedia support and it offers responsive design too. - Both Raptivity and eLearning Brothers interactions can be integrated with various authoring tools and offer real-time preview of how each change is going to look in the output. Each tool has its own strengths and weaknesses. You need to consider which features are important for your requirements/projects before selecting a tool. It’s also important to check availability of tech-support, so you won’t struggle in critical project times and are able to provide learners with the best eLearning experience. Click here to get a complimentary Excel Sheet copy of this eLearning Interaction Building Tools Comparison. Interested to try out Raptivity for your interaction building needs? Take a 14 day Free Trial and let us know of your experiences. We would also love to hear your experiences with other tools. Raptivity Celebrates 10 Glorious Years of Customer Success! Raptivity, a finely crafted interactivity builder that offers a rich collection of 190+ templates for creating eLearning interactions completes ten years of customer success. In April 2006, Harbinger Knowledge Products launched Raptivity in the eLearning sector with an aim to simplify and engage learners through interactivity for better learning outcomes. Let us revisit these ten years to know where Raptivity has come today. Raptivity adapted to the demanding needs of the eLearning industry by innovating and implementing new concepts that promises engaging learning experience for learners. Raptivity has always been at the forefront of technology innovations. It was amongst the first to support HTML5 interactions and Tin Can tracking (xAPI). In addition, a pilot of learner Engagement Analytics was shared by Raptivity allowing Instructional Designers or Course Developers to get insights into learner behaviors and improve the courses accordingly. To add to the success of Raptivity, today, it is being used over 65 countries ensuring happy customers across the globe. While Raptivity continues to grow, it has got a major support from its customers through various initiatives like Interactivity Hub Community, eLearning thought leaders panel, webinar participation by customers to share their success stories, beta user groups, round table conferences, etc. Customers support all along the way has helped Raptivity to always lead the way for interactive learning. We would like to take this opportunity to thank our customers globally for their continued support and participation. And, we want you to add your experience with Raptivity as well. Show how Raptivity helped you in learning better. Come, join the Raptivity Team and revel a decade full of customer success. Let’s all celebrate the accomplishments of the Raptivity Community! Gamification and simulation based learning performs exceptionally well in imparting knowledge through interactivity. 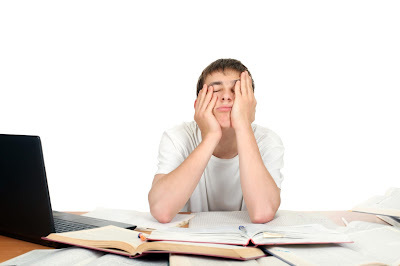 Research states that interactive learning helps learners to grasp more in less time. Dive deep into the research conducted by Dr. Lisa Vinney, Assistant Professor in the Communication Sciences and Disorders Department at Illinois State University and Dr. Katherine Verdolini Abott, Professor of Communication Science and Disorders at the McGowan Institute for Regenerative Medicine at the University of Pittsburgh. With use of Raptivity interactions, Dr. Vinney witnessed a considerable rise in recall and short-term retention of newly learned concepts of undergraduate students. 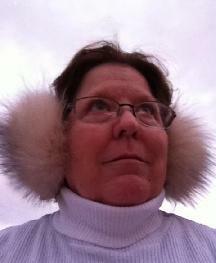 Dr. Vinney will share how mini-quizzes are effective for quick interactive learning. 3) Dr. Verdolini Abbott will share a case study inspired by the research on how mini-quiz games can be used in university classrooms. 4) Discuss future opportunities to use interactions effectively in classroom or online setting. This complimentary webinar is scheduled on Wednesday, 11th May, 2016 at 10 AM PST. Register now and explore new possibilities in interactive learning with Raptivity. One of the key goals of any Instructional Designer, educator or SME of an online course, is to engage learners into the course and help them successfully achieve the learning objectives. They take quite a few efforts towards achieving this goal. However, do those efforts convert into a comprehensive success? Well, not always. Despite these, online/eLearning courses are quite popular among learners because of flexibility and various other benefits they offer. Addressing the above mentioned issues while designing, developing and deploying an online/eLearning course would greatly help Instructional Designers and online educators in making it a success. Raptivity, a Rapid eLearning tool, helps address some of the above content related issues with its 190+ customizable interactions library. Using Raptivity, one can make learning interactive and present the content in a variety of stimulating ways. To help you achieve the goal of engaging your learners and imparting the knowledge meaningfully, I would recommend you to try out Raptivity with the 14 Day Free Trial and experience its benefits hands-on. Attention, instructional designers, content developers, and training managers! Do you ever wish you could have a periscope view of what the learner was paying attention to? You know if they passed or failed the exam, sometimes you know the exact score. But it's not enough feedback! You spent hours building the interactivities--did any learners try to skip over it? Did some learners speed through it? How many were learners who worked their way through the interactivities? If you seek validation such as this or feedback to improve (pivot, we like to say! ), then the world is now ready for you. E-learning analytics is coming into its own. Your training budget is dependent on the C-Suite's (the Chief fill-in-blank Officers) understanding of how productive the training is to their employees. Training is both a perk and a necessity. It's a perk to offer training--something millennials value over flexible hours, working from home, bonuses. Rewards entice people to apply for employment at your company--and to stay. It's a necessity for company policies and industry-specific requirements. Would you also like to have the technical identification of browsers, which version, and the device used? This type of data will help you understand that it may not be the content where the learner is stuck, but their access is impacting their learning results. This feedback can help you determine areas to improve as you move to or maintain learning on mobile devices. There are many, many choices, and in every price range. The most expensive options are in the $100,000 range, and the least expensive are free. When a company provides a free product, not as a sample, but always and completely free (such as Facebook), then you can be assured that you are the product. Research before sharing your data. Google Analytics may be the most popular and it is free. AWStats and Webalizer are free, too. I can think of two products that are free and are open source as well: Open Web Analytics and Piwik. • Which learners completed the training course? • Who hasn't finished or started the course? • When did the learners start and/or complete the course? • Which exam questions were commonly passed or failed? • How many learners passed or failed. Analytics with the course or module is also available. As you can imagine, they can identify problem areas and increase efficiency for the training staff. They can improve the training and improve results in the staff in a corporate setting or students in a school setting. Used in-depth, you can create a truly personalized learning program. For instance, while the assigned learners all passed the course, you can pinpoint an area that many were weak (even though they passed). You could quickly pull together a mini-course to increase their mastery of the topic, as well as reflect how to improve your training product. The mini-course would give you a chance to teach the subject in a different manner. Managers would recognize your focus on strengthening employees’ skills. The learner need not know they were selected because they were weak (or that your material wasn't clear), but rather that they were selected for in-depth, advanced training. Welcome to the cutting edge! One of the most exciting developments is Raptivity's Engagement Analytics. For most analytics, the one event that you cannot test or measure is the interactivity. Wouldn't it be helpful--soon crucial--to know what key interactions are popular and successful (or not). • Which interactivity is the most popular? • Which interactivity is the most engaging? • Who are the top engaged learners? • Were the successes location-centric? 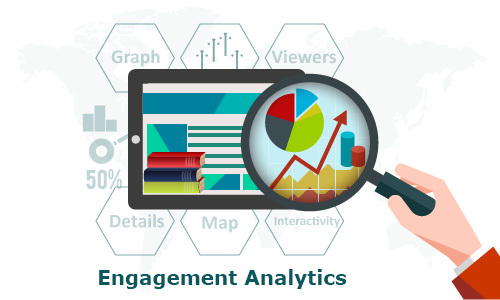 Furthermore, the culmination of these features packages Raptivity’s Engagement Analytics at the forefront of interactive learning. Analytics likes these help in decision making during course development, and mapping learner behavior through analytics promises better learning outcomes. Susan Wines: Experienced in all phases of creating eLearning courses, I find authors (subject matter experts), apply instructional design principles to course content, improve courseware processes, train internal teams worldwide, troubleshoot, publish, and then engage in social media representing our brand. I work in HTML, XML, and create interactive learning content using flash/HTML5, and videos—even whiteboard. Tip of the Week: Want to include interesting exercises in your course?